The amazing Water Log Noodle is America's #1 selling pool toy! These indestructible pool toys will be an instant hit at your pool. These long, soft, closed-cell foam tubes will provide endless entertainment. Float on them, play games with them have a blast with them all summer long! Water Log Noodles measure approximately 58 inches L by 2.6 inches Dia and float over 200 lbs. Pool Jam Above-Ground Volleyball/Basketball Combo lets you enjoy your two favorite pool games, volleyball and basketball. Both volleyball and basketball games feature rugged construction that will hold up to slam dunks and vicious spikes. Both games attach to your pool's top rail by our patent-pending breakaway bracket. Come complete with realistic game balls. 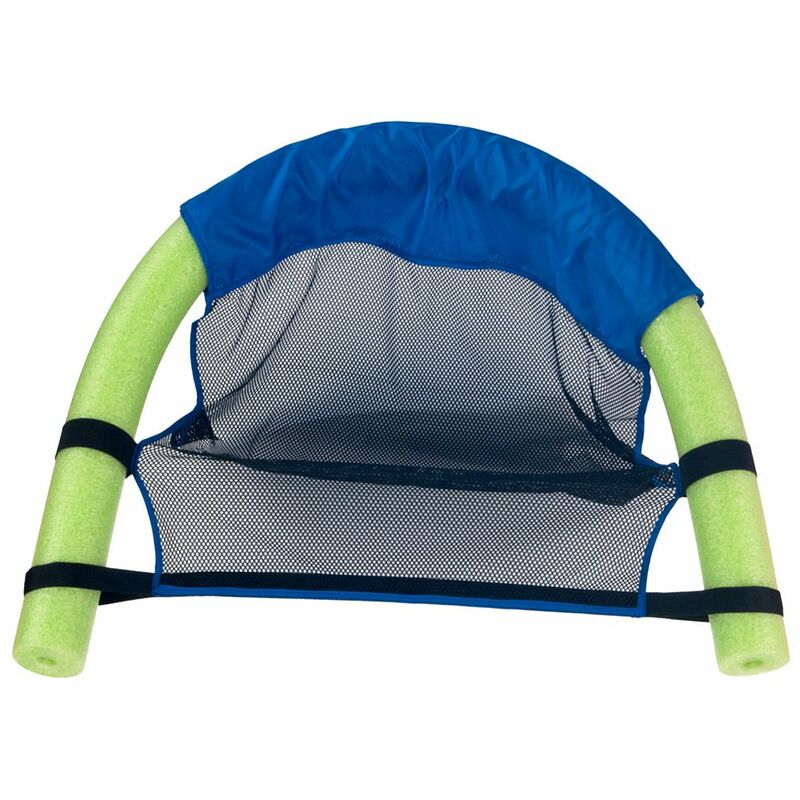 Noodlechair for 2 3/4-inch or 3 1/2-inch Noodle Pool Toy is rated 3.5 out of 5 by 2. Rated 4 out of 5 by BB from Fun water toy Easily stores on boat. Works best if you're not overweight. Kids would love it.